Joshua Graff Zivin’s multidisciplinary research has always been at the cross section of economics, health and the environment. An environmental economist at the UC San Diego School of Global Policy and Strategy (GPS), his passion for public health started early, developing models that leverage core insights from economics and epidemiology to analyze and design environmental policies while at UC Berkeley during graduate school. 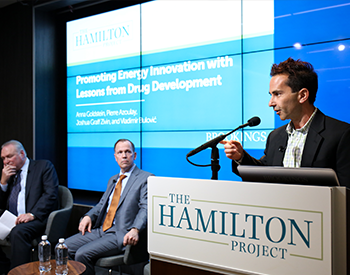 Most recently, Graff Zivin’s work “Promoting Energy Innovation with Lessons from Drug Development” appeared in The Hamilton Project, which offers a strategic vision and produces innovative policy proposals on how to create a growing economy that benefits more Americans. The report is aimed at policymakers in Washington, D.C. because energy regulation is a major driver in both our economy and in the technology we use. With policy relevance serving as a guiding force behind all his work, Graff Zivin’s research is broad. Interested in the environment’s impact on human capital, he has become a leading expert of low-level pollution research, particularly how health outcomes translate to economic outcomes. 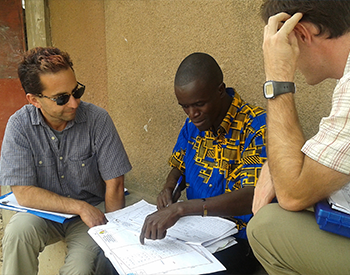 As co-director of UC San Diego’s Global Health Institute, Graff Zivin also hopes to expand his work on global health issues, while connecting academics and researchers on campus. With the majority of his work focused on the nexus of health, environment and economics, Graff Zivin was a natural choice for chief economist for the Rockefeller Foundation’s Economic Council on Planetary Health. Having dedicated much of the past decade to understanding the impacts of environmental quality on labor productivity and cognitive outcomes, he believes there are large economic returns to protecting planetary health. Graff Zivin brings his research findings into the classroom, incorporating key insights into his Economies of the Pacific Rim core course, and Environmental and Regulatory Economics. In 2018 however, he took time off from teaching at GPS, and returned to South America, a place that holds fond memories for him. Having lived in Santiago, Chile in the mid-1990s, Graff Zivin worked on agriculture and trade issues at the Economic Commission for Latin America. I am an economist focused on environmental, health, international development and innovation. Policy relevance serves as a guiding force behind all of this work. I have served in policy advising roles in government and non-governmental organizations, including the White House, the World Bank and the Rockefeller Foundation. My research has been cited by the EPA as basis for regulation. My goal is to provide students with the tools to see the economics in everyday problems, with a careful eye for incentives and stakeholders. This, in turn, should provide them with the ability to design and evaluate policies and programs, a skill that is valuable in nearly all professional careers, regardless of job title.